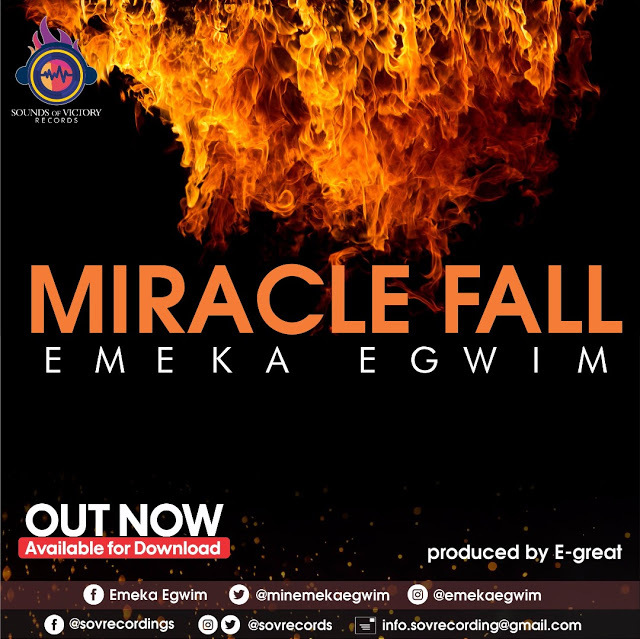 Fast rising Gospel minister Emeka Egwim has released a new track titled “Miracle Fall“. The track is the 5th single released from his up coming album. Having earlier dropped powerful tracks that are still blessing souls, such as Glory and Honour, Nani-gi, Chukwuebuka Ft Krys and Awesome You Are ft. Blessing and Seiyefa. Miracle Fall is more than just a song, it speaks of the out pouring miracles and blessings all from the good hand of God. It talks about how effective and efficient God is in the business of doing miracles and blessing His children. Put on your dancing shoes and get ready to shout for Joy as you listen to Miracle Fall from the stable of SOUND OF VICTORY RECORDS. Download and listen, to partake in the season of mighty MIRACLE FALL. Remain blessed.